One afternoon, after finishing a cup of coffee in her living room, Greta discovered how to unstitch herself. Her clothes, skin and hair fell from her like the peeled rind of a fruit, and her true body stepped out. Greta was very clean so she swept her old self away and deposited it in the rubbish bin before even taking notice of her new physiognomy, the difficulty of working her new limbs offering no obstruction to her determination to keep a clean home. She did not so much resemble a sewing machine as she was the ideal form on which a sewing machine was based. The closest thing she resembled in nature was an ant. They admired each other, and ate almond cake as they did every afternoon, but now using their newly discovered real mouths, which were framed by steely, sharp black mandibles which felt like a pleasant cross between teeth and a moustache. Their sewing machines were not used but kept around the house, decoratively, the way they used to keep saint figurines and dolls, and the way grander people kept marble portrait busts of themselves. They were a sensation the first time they left the building to do their shopping. After seeing other women unstitched, it was impossible not to do it, and soon all the women in their neighbourhood had shed their skins. It brought great relief to unstitch, like undoing one’s brassiere before bedtime or relieving one’s bladder after a long trip. Men were divided between those who ‘always knew there was something deceitful about women’ and were therefore satisfied when they were proved right, and those who lamented ‘the loss of the female form’. There was also a small minority of men who tried to unstitch themselves with the aid of razorblades and knives, only to end up wounded and disappointed. They had no ‘true, secret’ selves inside, only what was taught and known. On the unstitched bodies of women, there were various small hoops, almost like pierced ears, through which a red thread continually flowed, speeding or slowing, depending on the individual’s mood. It was a thick, tough thread covered in a wax-like substance. On each woman, the hoops were in slightly different places and of various sizes but, otherwise, all the women looked alike. Exhibitions of sewing and sewing machines ‘throughout the ages’ were put on and greatly enjoyed, reminding women of their evolution towards unstitching consciousness. 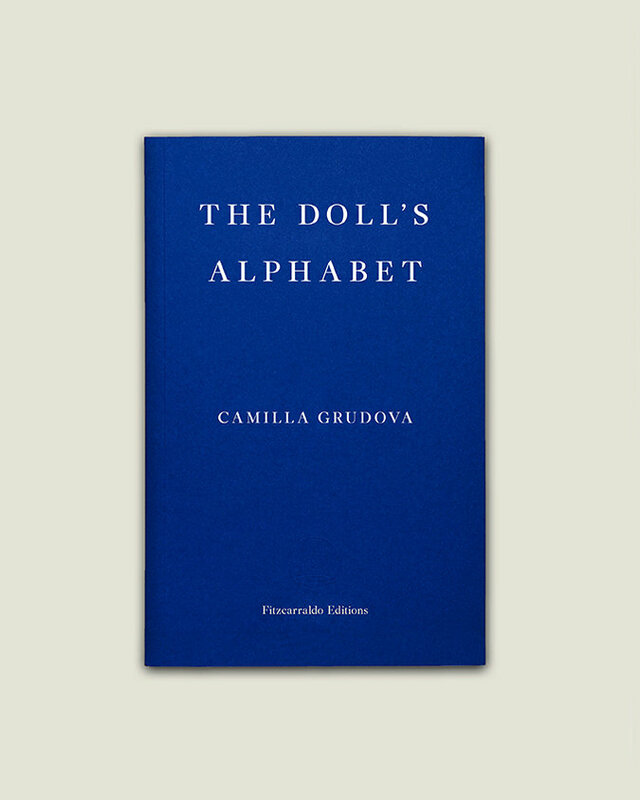 Surreal, ambitious and exquisitely conceived, The Doll's Alphabet is a collection of stories in the tradition of Angela Carter and Margaret Atwood. Dolls, sewing machines, tinned foods, mirrors, malfunctioning bodies – many images recur in stories that are in turn child-like and naive, grotesque and very dark. In ‘Unstitching’, a feminist revolution takes place. In ‘Waxy’, a factory worker fights to keep hold of her Man in a society where it is frowned upon to be Manless. In ‘Agata's Machine’, two schoolgirls conjure a Pierrot and an angel in a dank attic room. In ‘Notes from a Spider’, a half-man, half-spider finds love in a great European city. By constantly reinventing ways to engage with her obsessions and motifs, Camilla Grudova has come up with a method for storytelling that is highly imaginative, incredibly original, and absolutely discomfiting.